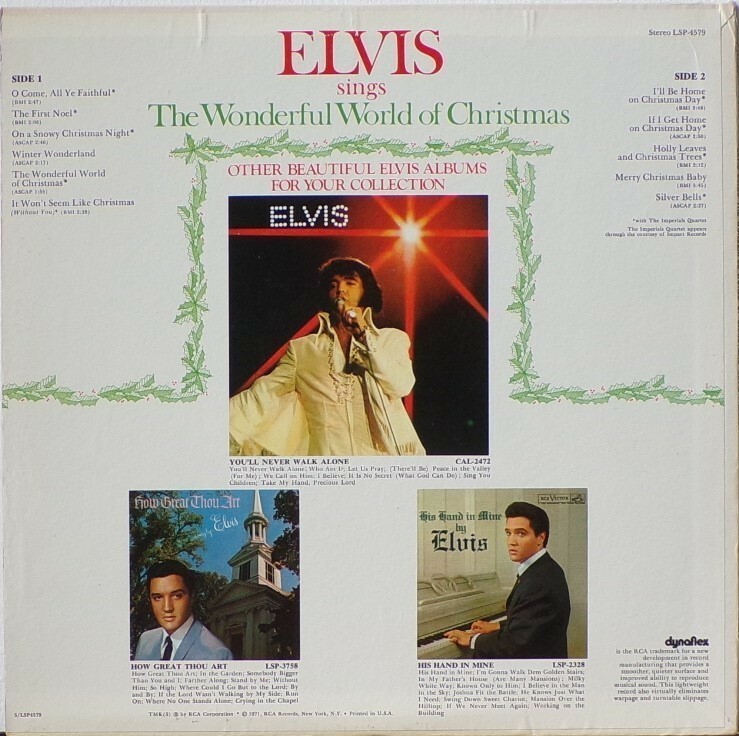 Elvis Sings The Wonderful World Of Christmas is a 1971 album by Elvis Presley, and Elvis' second and final Christmas album. The album was released in October 1971, followed by the single from the album "Merry Christmas Baby" / "O Come All Ye Faithful" released in November 1971. 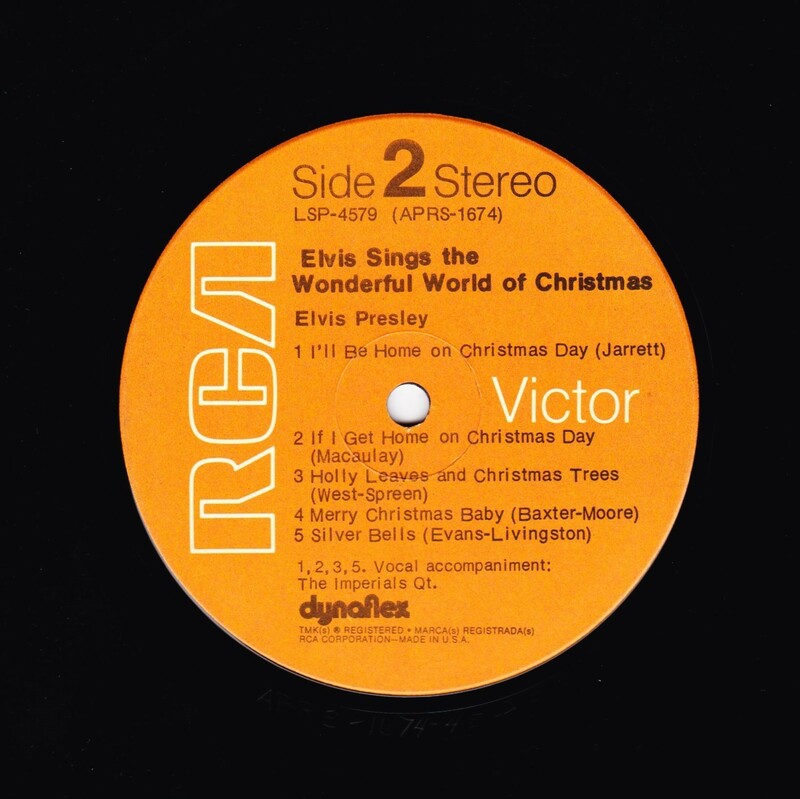 This album was a top seller and topped the Billboard Holiday Albums Chart, and would have charted high on the Billboard 200 but from 1963 to 73 Holiday albums were not allowed to chart. 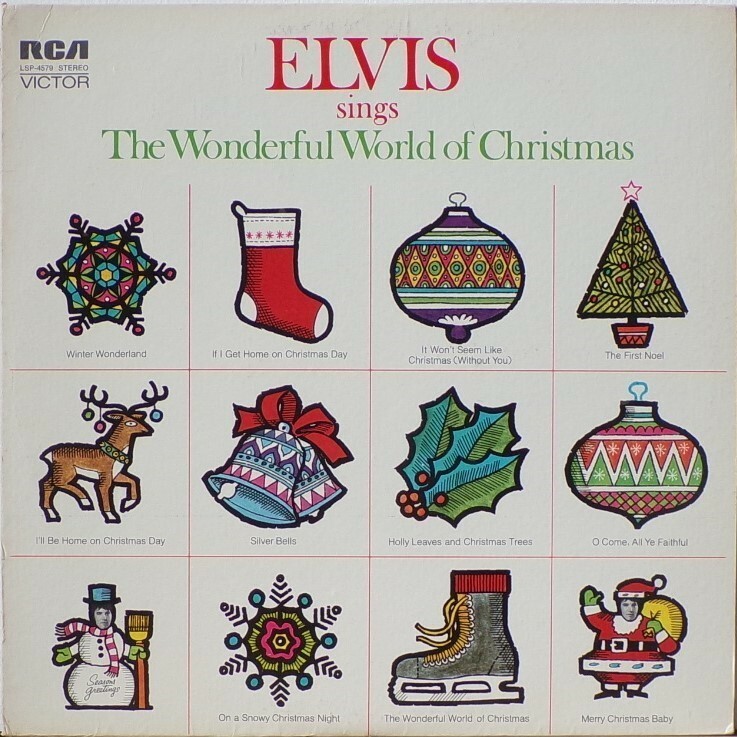 It did not have the commercial appeal of Elvis’ first Christmas album. Over the years, it has become a perennial favorite. It was certified Gold on 11/4/1977, Platinum on 12/1/1977, 2x Platinum on 5/20/1988 and 3x Platinum on 7/15/1999 by the RIAA. 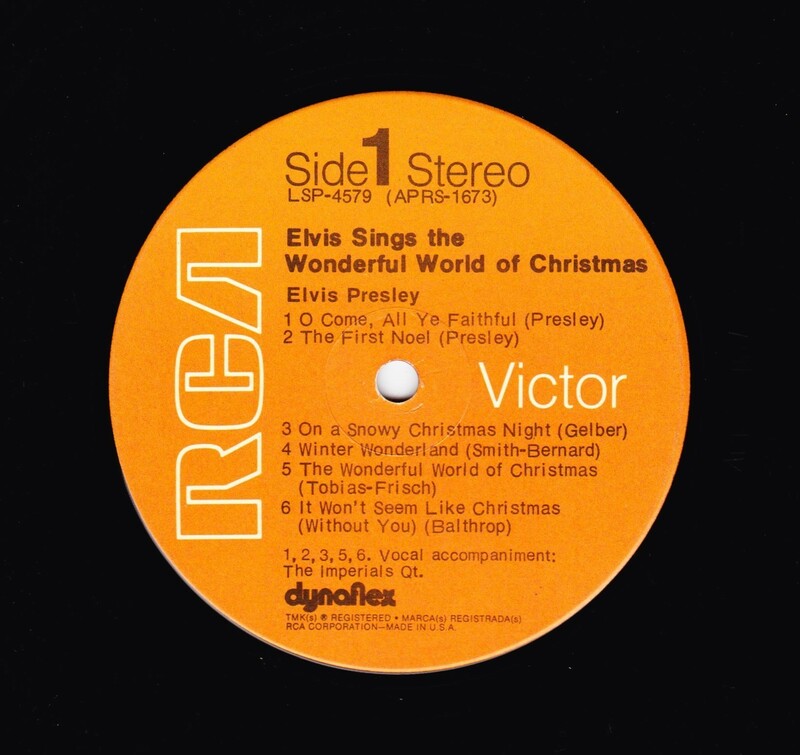 Several of the songs on the album were published by Elvis Presley's publishing company, such as "Holly Leaves And Christmas Trees", "I'll Be Home On Christmas Day", "If I Get Home On Christmas Day", and "On a Snowy Christmas Night". Front Cover : Title on top. Catalogue number top left. 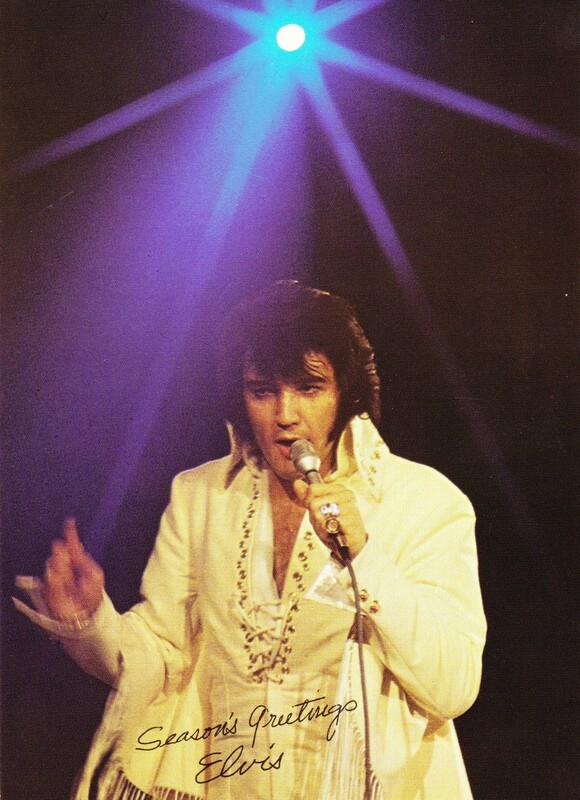 ​​Rear Cover : Advertising 3 Elvis Gospel albums. Catalogue number top right. Printed in U.S.A. bottom centre. 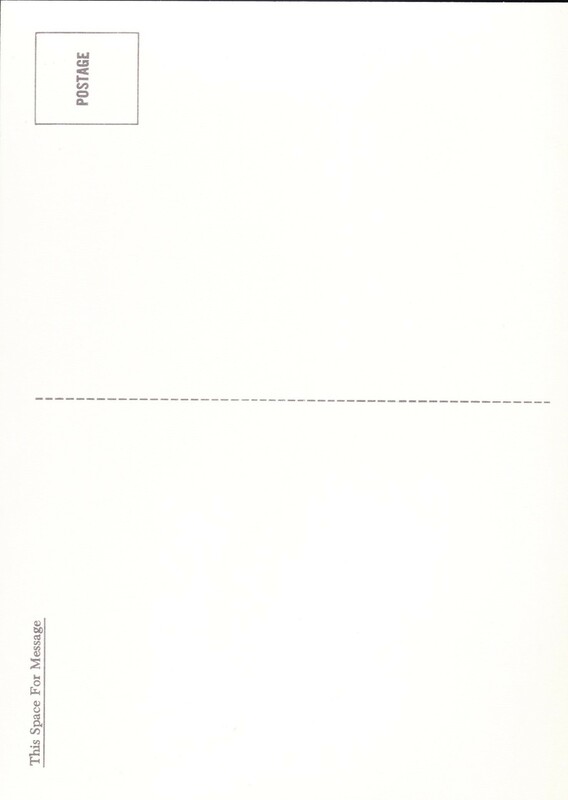 *NOTE* 7inch x 5inch postcard issued with this release.